The Ulsterman, 21, confessed that he’s in a big hurry to join pals Graeme McDowell and Louis Oosthuizen and become a major winner. And having been warned by reformed hot-head Darren Clarke to go easier on himself on the course, the Holywood hotshot knows that patience is key to his chances of victory this week. 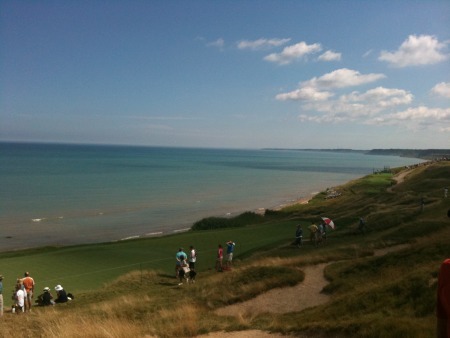 He said: “I played with Darren for the first two rounds of the Irish Open and shot seven under for the first two days. “He could obviously see I was getting a little bit upset because I felt for the first two days in Killarney that I could have gotten to 11 or 12 under par and been leading. Tied for third at halfway in the Irish Open, McIlroy slumped to 35th at the finish as he lost the plot over the weekend. He confessed: “I was very, very down on myself in Killarney and wasn’t accepting of the fact that I was having a bad day on Saturday. 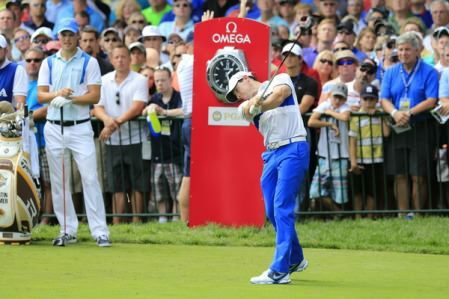 McIlroy, 21, knows he has a golden opportunity to become the youngest winner of the US PGA for 79 years and the third youngest in the event’s 92-year history. And as the third favourite behind superstars Phil Mickelson and Tiger Woods to lift the Wanamaker Trophy on Sunday, he’s finding it tough to wait for his first major win. He explained: “Everyone tells me, ‘Rory just be patient’, but sometimes it’s hard to do that and when you’re trying to get somewhere so fast. “It’s only my third year as a pro and success has come quite fast and you don’t really want to slow down. “If there has been anything in the past two and a half three years that I have struggled with it, it has been accepting and being patient. 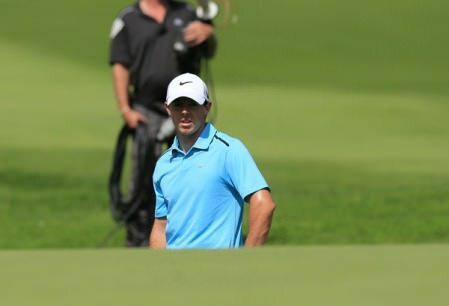 McIlroy has just two tournament wins to his credit and while he was third in the Open at St Andrews and third in the US PGA last year, he’s never contended on the last day of a major. Believing he has what it takes, he said: “The hardest part is getting yourself into the position but if you look at the win that I had this year at Quail Hollow, I held off Phil Mickelson and Angel Cabrera down the stretch, who are two major champions. “So if I can do that on a golf course like Quail Hollow, then there’s no reason why I shouldn’t be able to do it here.